I’m sharing my story because I did not formally go to school to be a designer but I was still able to learn on the internet and build business from cultivating my skill. Originally I did not go to school for web design. I went to Baylor University to pursue a degree in electrical engineering. Before I get into that let me take a step back and explain my mentality going into college. I was always looking for the next step, after elementary was middle school, after middle school was high school, after high school was college, after college would be grad school if necessary and finally join the workforce. The problem with this mentality was I was taking the next step and expecting results instead of pursuing what I was passionate about and allowing my passion to drive steps which only relate to my passion. So following the mentality of taking the next step, I graduated began working at a web hosting company and looked for various grad schools. When I look back on my life I recognized I truly enjoyed the process of creating. The process of taking a thought or idea and making it tangible is something I am truly passionate about. If you notice what was happening to me it is simply this, I followed the proposed steps everyone recommended I take all the while my goals were on the back-burner. This happens far to often somewhere between high school and the workforce we tend to settle. When I ask most people “what do you really want to do?” It’s no where near their dream. 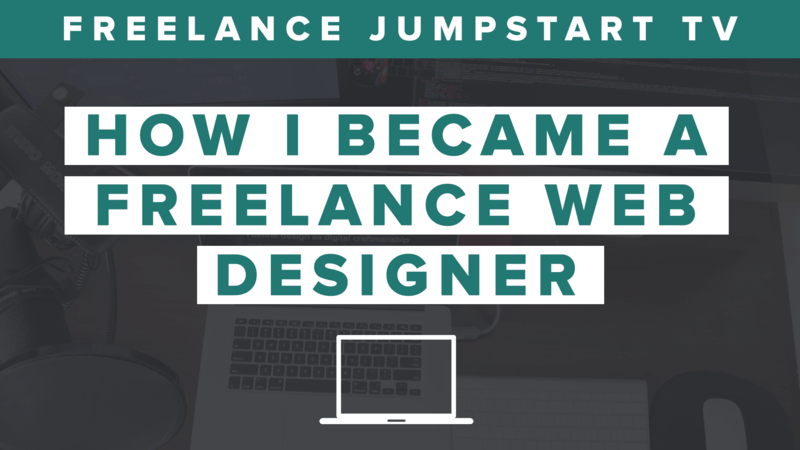 When did I decide I want to be a freelance designer? I was able to complete my electrical engineering degree but when I moved back home to Houston from college I needed a job quickly. I began working at a web hosting company and a part of that job was to help people build websites. I knew some beginning knowledge about websites and Photoshop but in order to help people I started looking deeper into how to websites work. It was embarrassing to speak with people on the phone and fake like I knew the answer to questions, so I looked into everything I could surrounding building a website. I spent hours reading tutorials and trying to learn Photoshop. I would read a tutorial and follow it step by step to complete a tutorial. This trend continued until I was able to look at images and recreate them on my own. Others knew I worked with websites so some of my friends asked if I was open for business, I was hesitant at first but realized if I did not take a chance I would never truly learn. I said yes and then they referred someone to me. The person described what they wanted and I asked, “how much do you charge?” I wanted to hang up the phone do research and run back. But I took a guess and had my first client. It was difficult but the more work I took on the better I became at it. Referrals started coming in so I knew it was time to formalize my business and really learn all there was to websites. Learning the details surrounding how to official start a business took some time. Luckily I made the decision to launch my business right around the time I decided to pursue my MBA, so everything I did involved learning about business. Fast forward to today I’m still learning and working to get better because there is always new technology being released and the state of web design changes quickly. Even if you do not have a desire to be a web designer it is still worth learning a couple of things so at the least you are aware of how to maintain your website. I have created a quick list of the top places to learn web design online and they are all free, at no cost to you.